Hey, newbs. It's ya girls, Mindy and Sam. Do you miss the 90s and 2000s? Do you miss listening to Savage Garden on your DiscMan on the school bus while sipping the sugary goodness of Fruitopia? Do you remember expressing the agony of a heartbreak through a very passive aggressive burned CD shoved in your ex's locker? Did you murder a million Tamagotchis? Just Sam? Cool cool cool. We miss it. So. Much. We want it back. Until we can convince soda companies to produce nothing but Surge, we're fighting the good fight on our weekly podcast, Love You Like a Sister. Join us on your morning commute. Force your uncultured children to educate themselves on REAL BOY BANDS. Listen to us around the dinner table or with your UBER driver. Just pinky promise and cross your heart you'll join us in reliving our best lives. LYLAS's theme music is by @StillElectricBand. Sam is on the brink of leaving her 20s and she hopes it won't be as traumatic as Marissa Cooper's death. She's living it up and refusing to grow up in Houston. A fangirl for life, Sam uses most of her brain space obsessing over why Rachel picked Ross over Joey and why anyone liked Dawson more than Pacey. She's in-between Hogwarts houses ATM. She's too moody for the Hufflepuffs but not badass enough for the Gryffindors, so there's that. She's still carrying a torch for Jordan Catalano and contributes her career in education to the fact that he couldn't read. She's out here trying to keep the 90s relevant by encouraging her students to wear overalls, plaid and listen to a lot pop rock like the Goo Goo Dolls. Her earliest music memories include jamming to Alanis Morissette with her older sister and pretending she understood what the songs meant and then keeping with the angsty music in her teen years by burning mixes of Paramore, My Chemical Romance, The Cab, Dear Juliet and more. Her life goal is to help bring back Cribs so she can show her freezer full of Hot Pockets to the world and to make friendship bracelets with Hilary Duff. Mindy is a 20-something writer and graduate student who never truly got over J.T. Yorke's death. She knows entirely too much Harry Potter trivia, advocates for the resurgence of PS2 and Gamecube games, and still maintains that Pete & Pete is the best show to have ever aired. The best way to Mindy's heart is to quote the Magnetic Fields, or to show her a picture of a cool dog. Any cool dog will do, but the best ones are the dogs riding skateboards. Even better is when they're wearing sunglasses, too. Mindy’s favorite #nostalgicmemz include flash games, AIM, and non-stigmatized naptime. 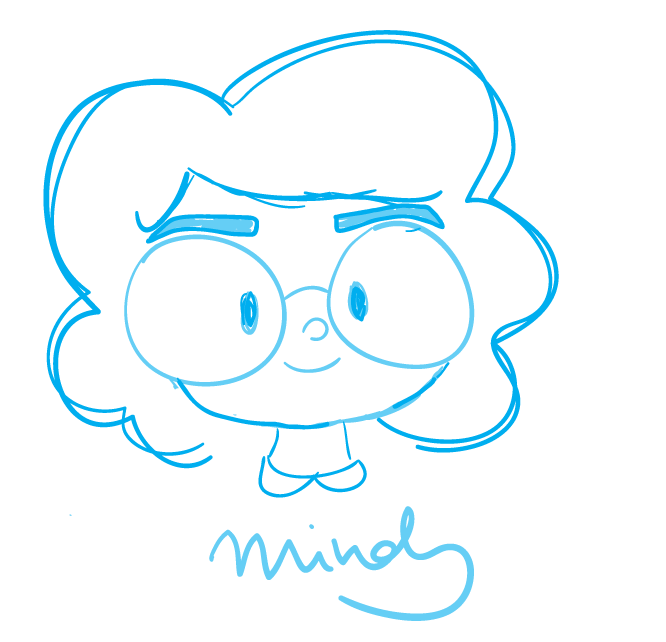 When she isn't being hashtag relatable, Mindy plays a ton of video games, reads a lot of books, and gives her cat, Lucy, too many kisses. Mindy's bio doesn't have enough 90s references in it like Sam's does, but she assures you that she cares an equal amount. Probably.